John A. Parks is an English painter who was educated at the Royal College of Art in London. He began exhibiting at the Royal Academy while still a graduate student and achieved immediate success as a portrait painter, undertaking the famous Pear's Portrait Commission as well as many private commissions. Parks moved to New York in the late seventies and has exhibited widely in the United States and Britain over the last forty years. 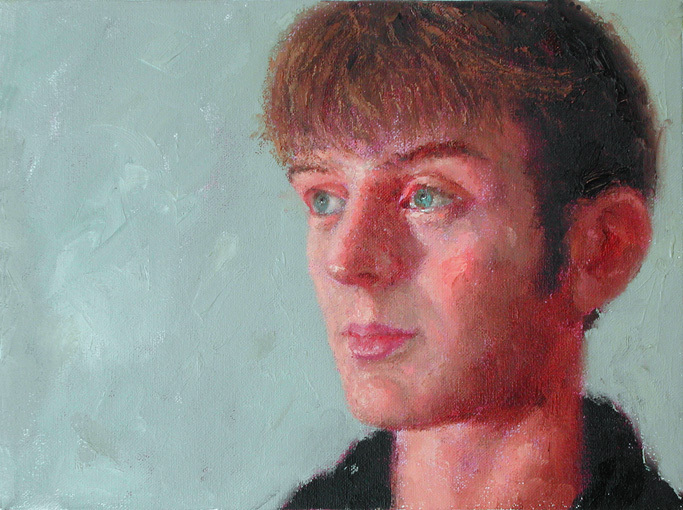 Parks is a member of the faculty of the School of Visual Arts in New York where he teaches courses on portraiture, realist techniques and gouache techniques. In addition to his work as a painter Parks has published many articles on art and travel in publications ranging from the New York Times to American Artist Magazine to catalogue essays for the Smithsonian Museum of American Art. In 2014 he published "Universal Principles of Art," (Rockport Publishers), a book that provides a broad introduction to the world of art. Parks' painting is represented by 532 Gallery Thomas Jaeckel in New York. He makes his home in Dutchess County, New York. This website provides an archive of the artist's work since 1977 from the early cityscapes, through his lyrical and romantic garden paintings, his riotous "havoc" paintings up to his latest pictures.